More than a week after it first started, a west Texas wildfire is now 77 percent contained and has a footprint just above 19,000 acres. The McDannald Ranch Fire — that’s believed to have been started by a lightning strike — has burned throughout the Davis Mountains area since April 30th. Since then, hundreds of personnel from across the country have arrived in West Texas to help with operations and to fight the fire. By Wednesday, roughly 330 personnel were in Fort Davis to respond to the fire. 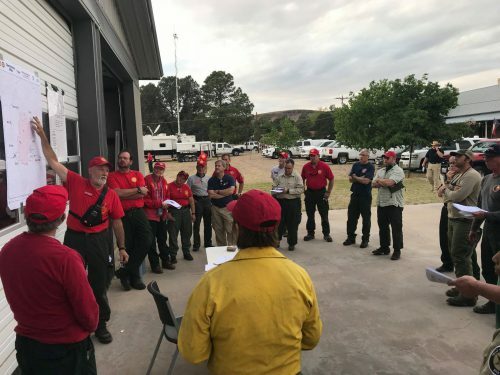 Throughout the weeks the fire has blazed in the Davis Mountains area, fire crews from 31 states across the U.S., D.C. and a federal response team came to assist. The increased personnel presence has allowed fire officials to initiate night operations. The fire’s edge is a half-a-mile from the closest house in the Davis Mountain Resort. Fire crews have been in the DMR setting up protective measures. The area has been a main concern for officials. The rugged terrain has posed some challenges unique to fighting fires in the Davis Mountains. Fires can crop up in canyons, or on rocky mountainsides, places that are difficult or impossible to reach in a vehicle. “There are no roads that go up there so, kind hard for us to fight,” says Fort Davis Fire Chief Pat Olivas, as he pointed out a flame cresting over a ridge last week when the fire began. Part of the response effort that’s helped officials reach difficult areas included a slew of helicopters. At one point there were 4 large helicopters responding to the fire including several air tankers and nearly 50 fire engines. 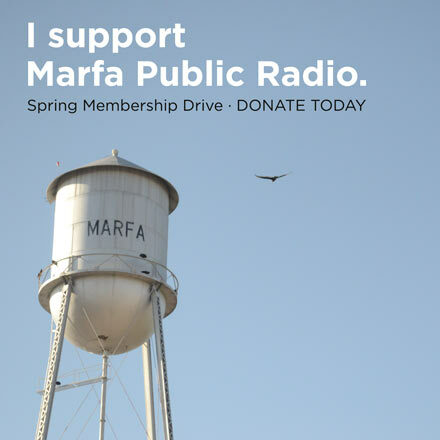 Earlier this week, a heavy-lift helicopter pumped several thousand gallons of water out of a tank at the Davis Mountains Preserve, an area local ranchers dug out years ago to collect rain. The Skycrane dropped the water over Paradise Ridge, where the McDannald wildfire was still burning. The fire no longer has a major flame front or head, but until it is completely contained, officials say new flare ups and fronts are possible. For more information about the McDannald Ranch Fire, you can call the Fire Information Line at 432-558-8311. This entry was posted in KRTS News and tagged Davis Mountains, Fire Season, McDannald Fire. Bookmark the permalink.